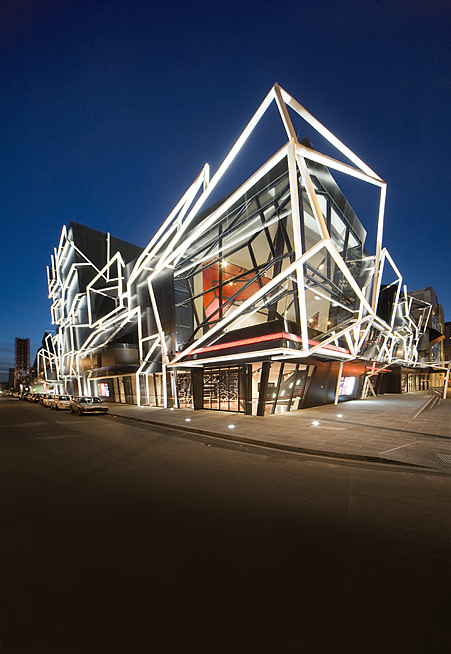 Australian design consultancy ARM continues to push the envelope down-under. 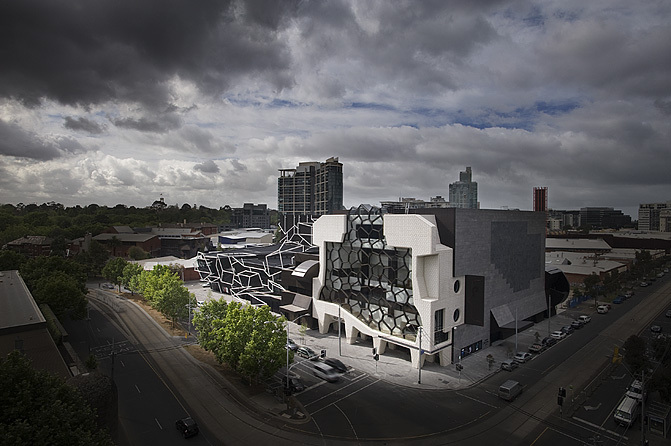 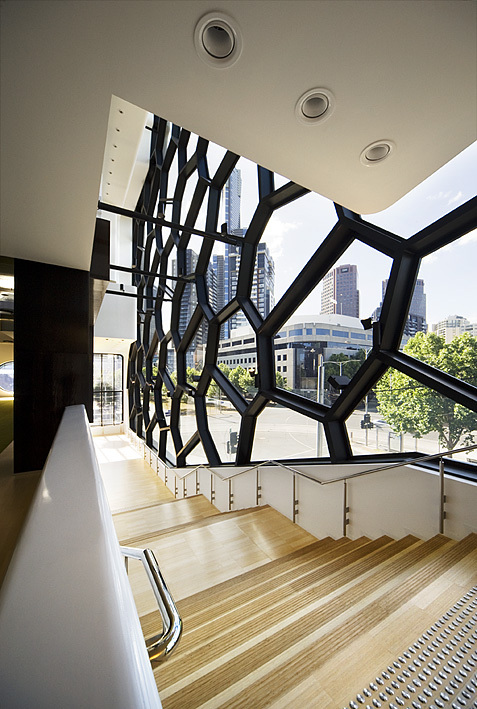 Their latest projects, the Melbourne Recital Centre and neighboring MTC Theatre, are turning heads round the globe, and recently earned ARM the Public Buildings category award from the Property Council of Australia Rider Levett Bucknall Innovation & Excellence Awards. 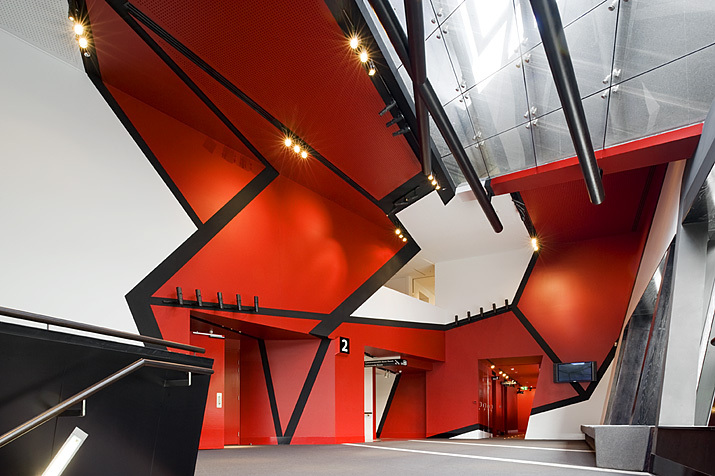 One eloquent judge described the projects as “understandable origami.” Looking at the new buildings, you can’t help but notice their strong angles, musical fluidity and theatrical color and shape – beautifully reflecting the spaces’ roles. 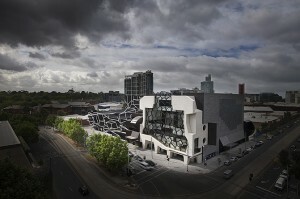 The Melbourne Recital Centre was designed primarily as a chamber music venue. ARM’s design rationale considered the building itself as packaging for the valued music performed within, which led to its “box inside a box” structure. 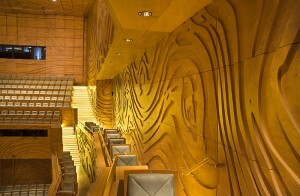 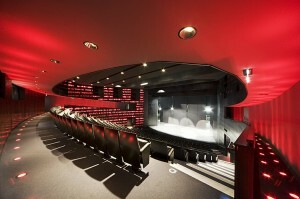 The Elisabeth Murdoch Hall seats 1000, while the Salon space seats 150 for pre-concert talks and experimental chamber music. The performance spaces feature timber panelling for ideal acoustics. Much of the multilevel foyer is visible from the exterior, allowing passersby a peak inside, and concert goers a view of Melbourne’s skyline.